This kind of chess pieces called as Geometric chess. It has adopted from custom chess set and we realized it in wooden product. Geometric chess offers modern style and we make it different with ordinary chess. Its shape escapes you from the ordinary chess model. It is the combination of innovation and art, which has geometric shapes and futuristic look. Get your challenge of chess game by using this kind of chess piece. This black geometric chess piece has made of best quality of Teak wood and carved by our expert craftsman. So unique and beautiful shapes. It has designed perfectly for the chess lovers. 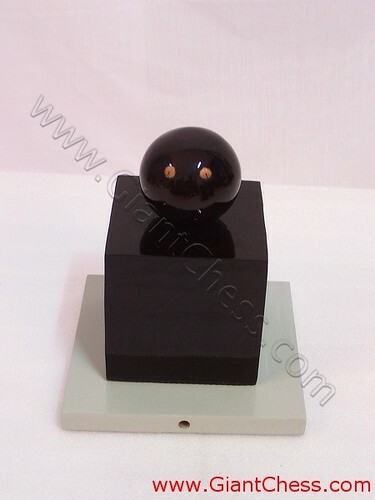 This time we show you one of our geometric chess piece, which polished in black color with glossy touch. Otherwise,. Get the Geometric chess piece set in brown color to complete your chess collection.